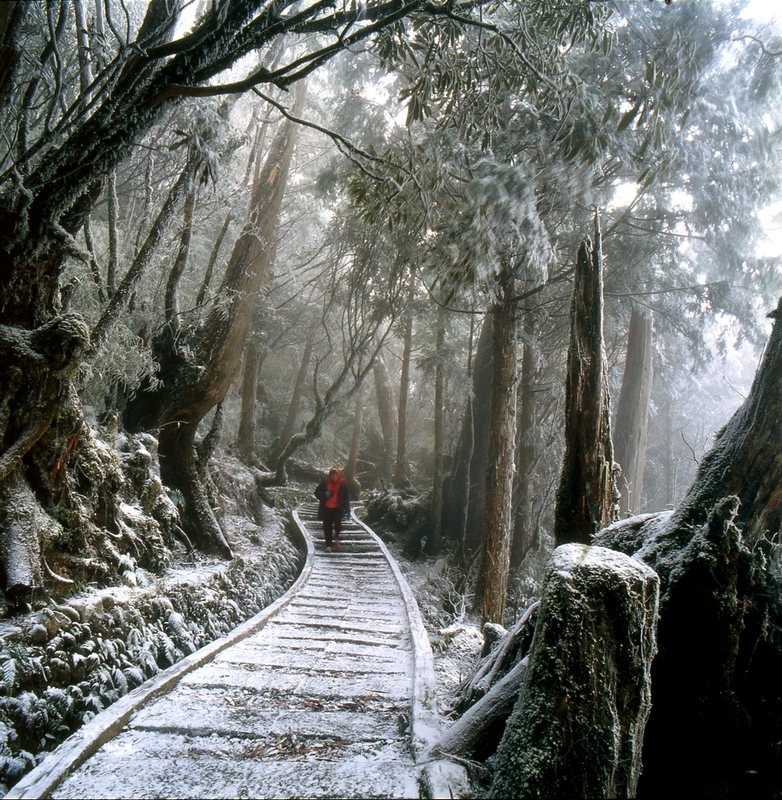 Taipingshan is situated in the northern county of Yilan and is one of Taiwan's three major national forest recreation areas. With a moist climate and abundant rainfall, it has nurtured an environment rich in ecological resources. The forests that cover the area consist of such valuable trees as Taiwan cypress, Taiwan hemlock, and Japanese cypress. 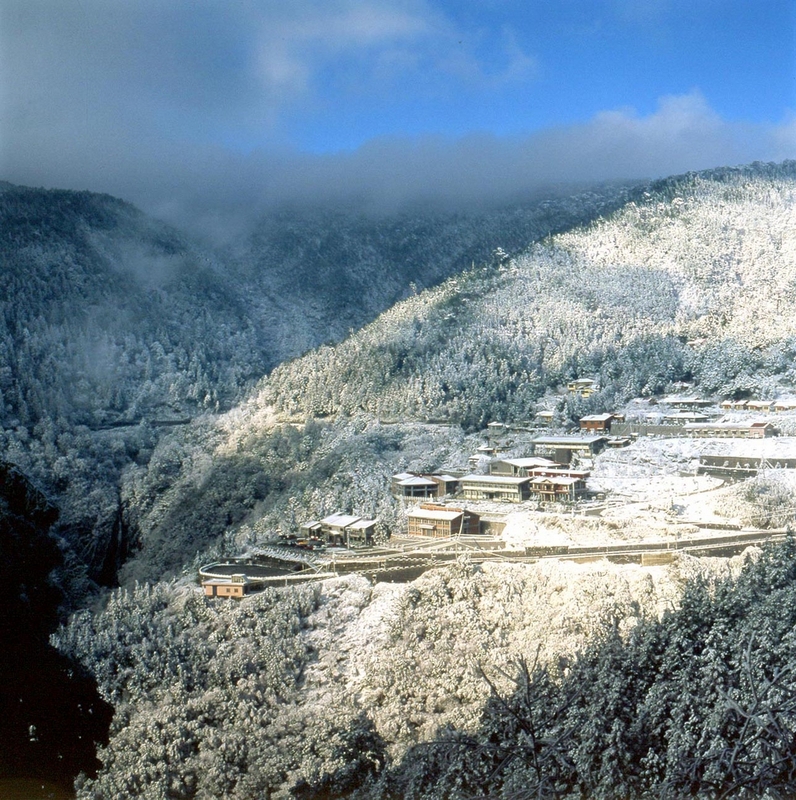 The area is also blessed with geothermal energy at the Renze Hot Springs, the largest alpine lake on the island (Cuifeng Lake), and a variety of other enchanting scenery. One of the prime tourist spots here is the Taipingshan primeval forest park, which you reach via flights of stone steps lined with purple-leafed maple trees that become especially rich in color between the months of March and November. This used to be a major logging area, and traces of the old logging equipment can still be seen here-the old forestry railroad, ruins of a cable car up the mountain, motorized carts, trestles. Visitors here can also savor the constantly changing sight of the "sea of clouds," the brilliant sunrise, forest waterfalls, and other alluring scenes. No wonder that this is a favorite vacation spot for the people of Taiwan! 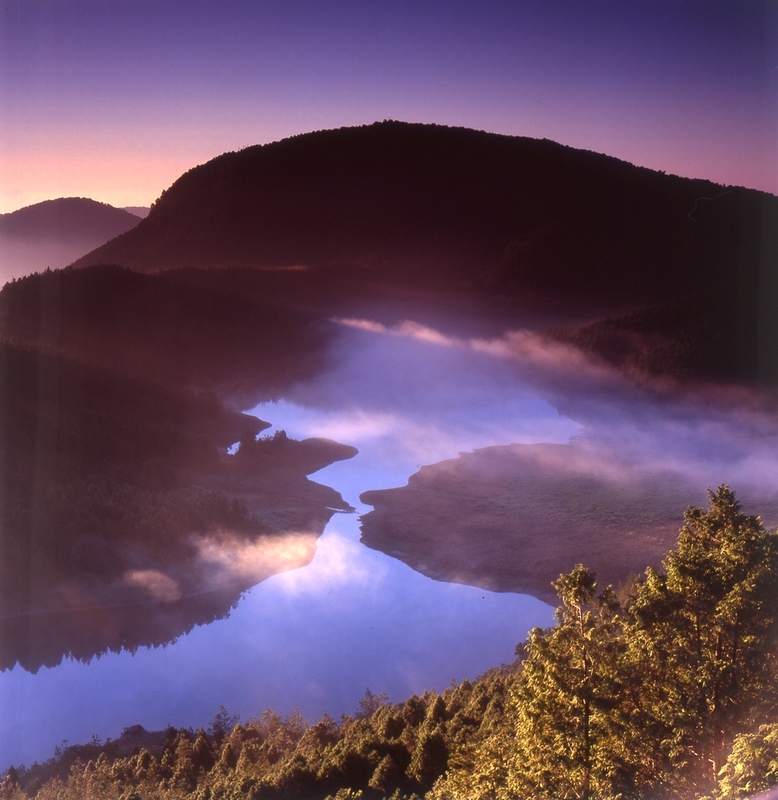 Entry to the Taipingshan National Forest Recreation Area requires a B-class mountain permit, and an A-class permit is needed to proceed on to Cuifeng Lake. You can get your permit to the national forest recreation area by presenting your ID card or passport at the Taipingshan inspection post. 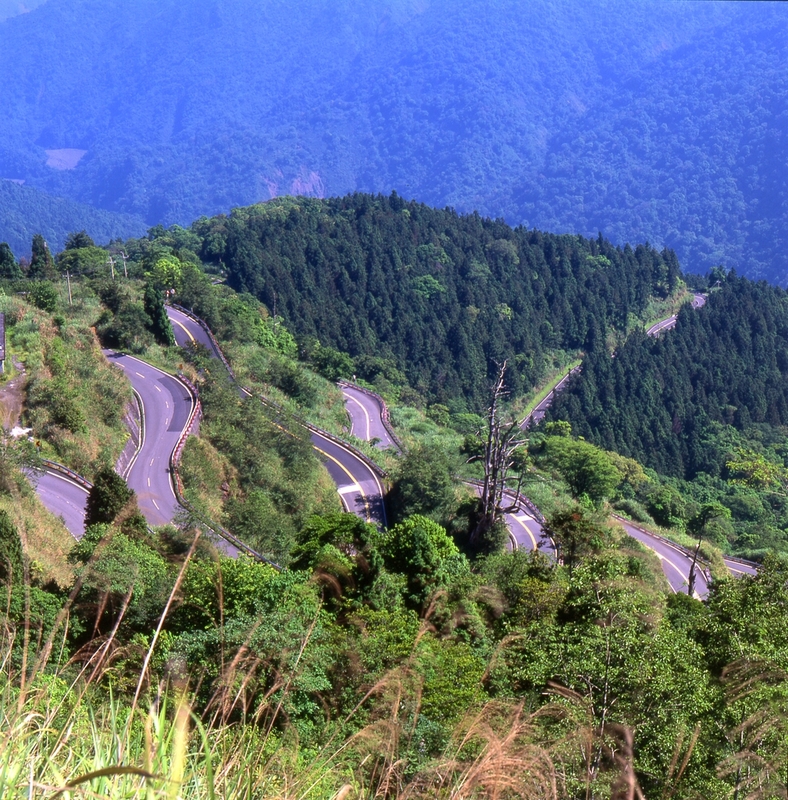 Taipingshan Forest Park is located in Datong, Yilan County, 12,000 hectares in area. The park covers the Nanhu Mountain, Sanxing Mountain and Dabajian Mountain. There are abundant cypress and pine trees and it used to be one of the three major forestry centers in Taiwan. Scenery here differs with the seasons. Visitors can come here to appreciate the flowers in spring, the sunrise and clouds in autumn. Vegetation here differs with the altitude. 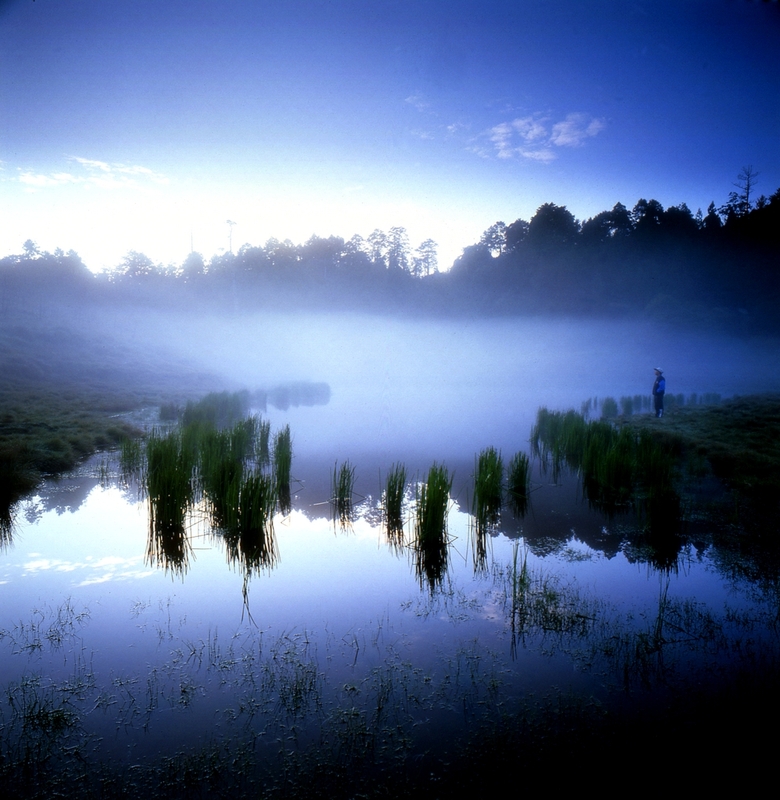 Scenic spots here include Renze Hot Spring, Forest Park, Forest Tour Track, Wildlife Conservation area and Cuifeng Lake. 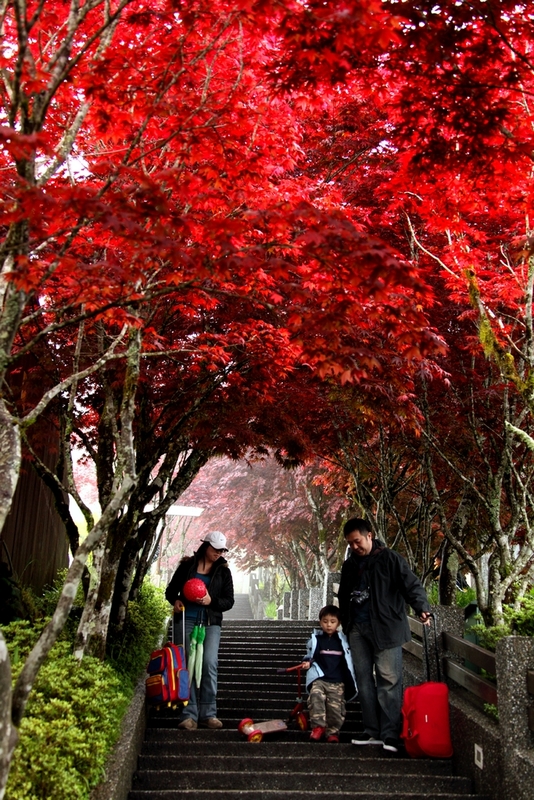 The plants that change colors, such as maples, have brought Taipingshan beautiful views. Cherry blossoms, plum blossoms and apricot blossoms make the park exquisite scenery.